The people behind Bradford's Veterinary Physiotherapy. Msc Vet Phys.BHSc (Hons) MCSP HCPC ACPAT Cat A. Consultant Chartered Physiotherapist-Clinical Lead & Director. Since gaining his BHSc (Hons) Human Physiotherapy degree from Leeds University in 1997 Tim has been eternally focused upon becoming the best Physiotherapist he can be. Having achieved his human qualification (Chartered Physiotherapist) Tim worked across Yorkshire and surrounding counties both in the NHS and within private practice gaining invaluable musculoskeletal knowledge and experience working alongside top UK orthopaedic surgeons. Having gained these experiences Tim then provided specialist musculoskeletal locum Physiotherapy services to NHS trusts across the north of England. 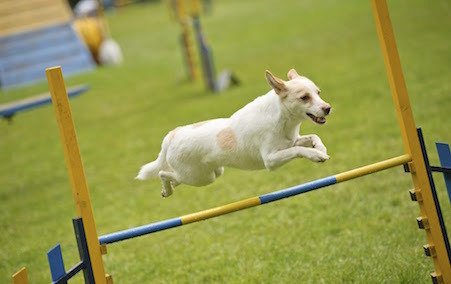 During this time Tim was also undertaking his MSc Veterinary Physiotherapy qualification through the Royal Veterinary College, London which he successfully completed in 2006. During the same year Tim and Rhiannon moved southward to Herefordshire and Tim continued with locum human Physiotherapy work in Wales while Bradford's Veterinary Physiotherapy was born! 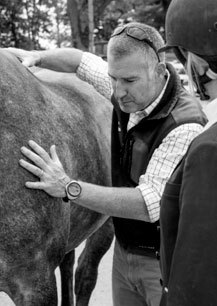 Since 2006 Tim has progressed and developed his specialist Veterinary Physiotherapy skills and now supports and treats international competition horses here at home in the UK and into Europe. Tim has also been invited to provide consultancy physiotherapy services to the British Equestrian Federation here in the UK. Since the arrival of two new members of the Bradford clan Tim enjoys family time and getting out for a run every now and then! MSc Vet Phys. BSc (Hons) MCSP HCPC ACPAT Cat A. Chartered Physiotherapist & Director. Ally qualified as a Chartered Physiotherapist in 1999 having gained her BSc (Hons) degree in Physiotherapy from Coventry University. On qualification she joined the British Army and worked as a Military Physiotherapist throughout the UK specialising in musculoskeletal medicine. Her role in the military as both a Clinician and Manager gained invaluable experience dealing with soldiers in all tiers of rehabilitation from acute injuries on operations in Afghanistan and Iraq to rehabilitation stages of injury management at Headley Court. Having gained extensive experience within this field she then went on to complete her Masters in Sports and Exercise Medicine at Cardiff University. 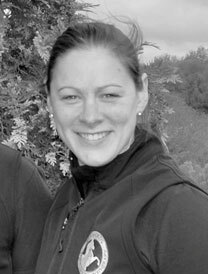 Ally also enjoys and has provided extensive sports physiotherapy cover to a number of teams over the years, ranging from Inter-National through to club level including England Ladies Cricket, Newbury Rugby, and the Army Veterans Rugby Team to name but a few. She has also enjoys and has provided extensive physiotherapy support to Battleback, an organisation which gives injured soldiers the opportunity to take part in adventurous training activities. Having completed her full-time service in the military Ally has decided to come back to her roots; an original from Herefordshire and Worcestershire; and always keen to further develop or push her abilities in a new field has joined the Bradford’s practice to help the team develop the Human Physiotherapy service. Whilst settling back into her countryside way of living she is as busy as ever and not completely settling for a quiet life still runs, plays netball, and offers much Physiotherapy charity to support to Battleback and Heroes for Rugby. 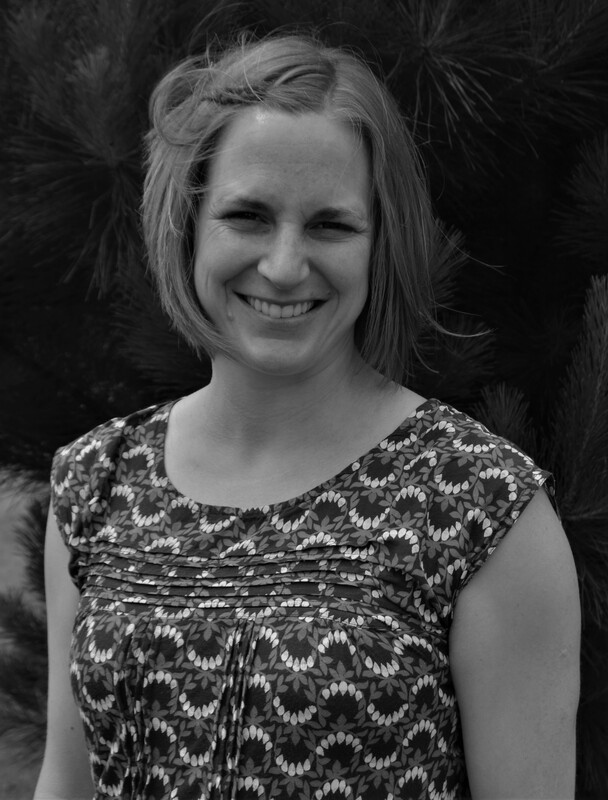 Jenny qualified in 2011 as a Chartered Physiotherapist having gained her BSc (Hons) in Physiotherapy from Cardiff University. Originally a country lass from Herefordshire Jenny made her way to London and spent 5 years gaining invaluable professional and life experience working in a busy East London Hospital. She completed her junior and senior rotations within the NHS eventually specialising in acute trauma and orthopaedics. Whilst completing her senior rotations she decided to undertake her Pg Dip in Veterinary Physiotherapy with Liverpool University. 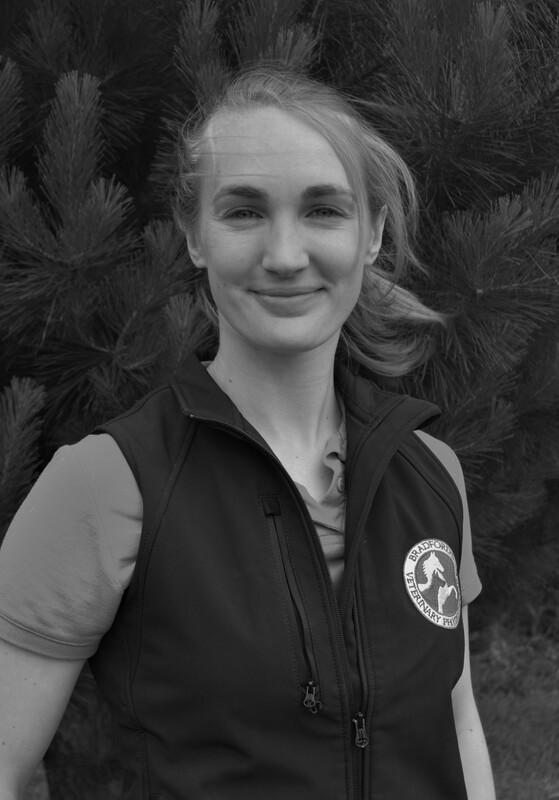 Becoming a Veterinary Physiotherapist has been a lifelong ambition for Jenny having spent most of her upbringing immersed in country life that has included all manner of four legged friends. Upon completion of her Veterinary Physiotherapy course and in pursuit of a country way of life, Jenny moved back to Herefordshire. She now enjoys spending time with family, riding her faithful cob and supplying physio to her ageing golden retriever. Alongside work she begins a year of research in September to complete her MSc in veterinary physiotherapy focusing on equine back pain. Sue has been working in the practice since June 2009 and manages the general office support of the office and coordinates the invoicing and accounts, quite an onerous task! 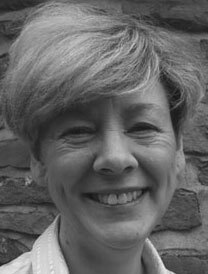 Sue has spent many years working and organising the office support in a very busy Orthodontic practice in the Midlands before moving to Herefordshire in 2009. Sue works part-time in the business and provides an invaluable part to the very busy proceedings. When Sue is not at work she enjoys walking on the Malvern Hills, oil painting and spending time with her family. 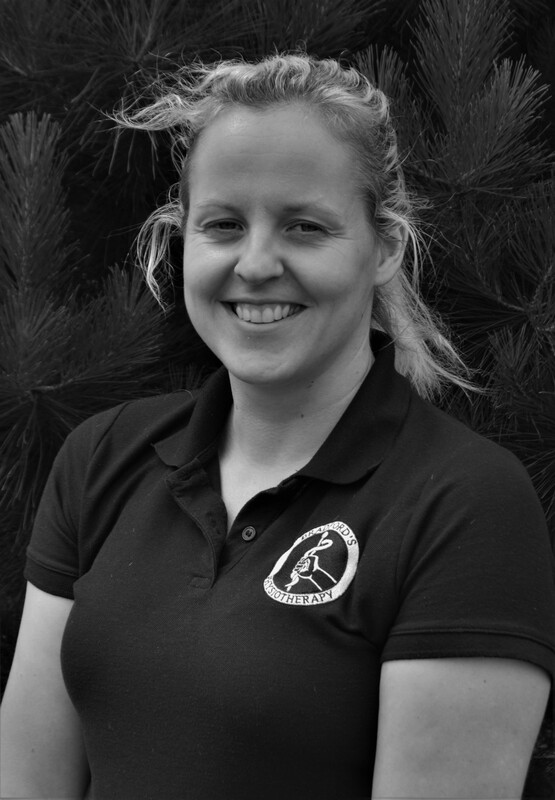 Ally graduated from the University of the West of England (Hartpury) in 2003 with a BSc (Hons) degree in Equine Business Management and has worked in the Equine Industry ever since (previously working for a local racecourse and an Auctioneers). 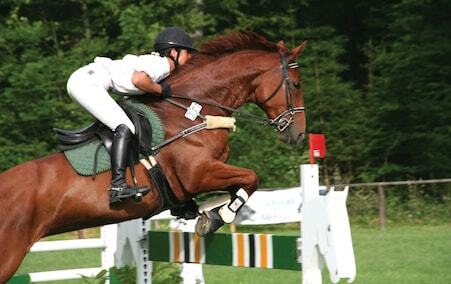 Ally has lived in Herefordshire all her life; a farmers’ daughter she enjoys the countryside way of life and was a keen rider, eventing up to novice level before University. We are extremely pleased to have Ally as part of the team and has been able to bring tremendous additional skills to the infrastructure of the office. Ally organises all the appointments and diaries on a part-time basis along with the other daily tasks to support the clinicians. When Ally is not at work she enjoys looking after her two young children and spending time with her family, walking her dog and socialising with friends.